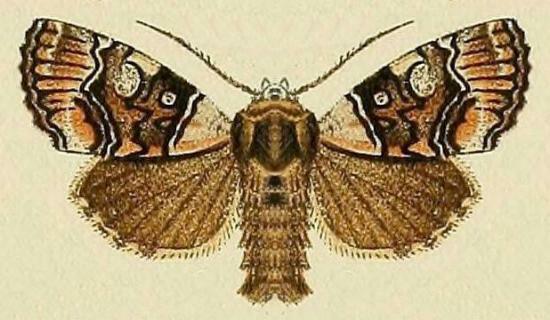 The forewings of the adult moth each have a complex pattern of shades of brown with a pale kidney-shaped spot near the middle. The hindwings are uniformly brown. The wingspan is about 3.5 cms. The genus Euplexia is thought to be incorrect for this species. Volume 7 (1908), p. 248, No. 3035, and also Plate 114, fig. 18. Volume 27 (1902), pp. 83-84.